What is the market rent for your site? 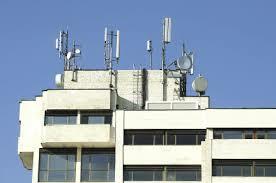 In the next 10 years the average cell site with 30 licensed antennas can gross $15 million to the cell carrier. The Owner may only receive $150,000. AMC understands that cell site leases are not property owner’s primary business and information is hard to find on market rents. What is the impact of these terms? This entry was posted in Cell Antenna Lease Rates, Latest News, Rates & Contracts. Bookmark the permalink. ← Telus and Bell combining sites. You may get a Notice of Assignment and a loss of income.